If you’re looking to avoid the cliché first date, such as dinner and drinks, there are numerous locations that make for an interesting alternative. With so many museums, historic houses, and art galleries in the UK, it, of course, leaves the door open to a cultural date. But how does it differ from an average date? Here are a few things to bear in mind when getting to know someone through a cultural lens. With such a large number of galleries and museums to choose from, there’s bound to be an exhibition that will interest your date. However, there isn’t much point in taking someone who’s obsessed with 18th century living along to a modern art exhibition. So, ensure that you take their likes and dislikes into account by getting to know a little bit about them before your date. They’ll appreciate your thoughtfulness, which will put you on the right foot before the date has even begun. Of course, while you can find out about this in advance face-to-face, if you happened to have met that way, it may be that you have forgotten. Certainly, it’s easier if you’ve met her on a site like Badoo where you get to ask numerous questions after giving them some thought. Just make sure that one of those questions is about her cultural tastes. When arranging a cultural date, don’t over-plan. 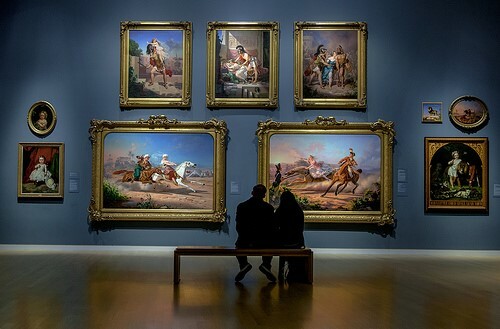 For example, if the gallery websites tells you it takes one hour to view the main collection, but you feel you’ve taken in all you and your date want to see, don’t stick around for the sake of it. On the flip side of that, if you feel that you’re rushing through because you’re trying to stay on schedule and want to pack everything in on your itinerary, stop and take a breath. The last thing you want to do is to make your date feel uncomfortable. You’re also there to get to know the person, not just to enjoy the exhibits. Emphasize the parts you both want to see the most, and don’t worry about missing out a part of your itinerary. Subtly indicating your knowledge of art is likely to impress. However, showing off your art history degree to the point where you’ve turned into the tour guide is likely to have the opposite effect. 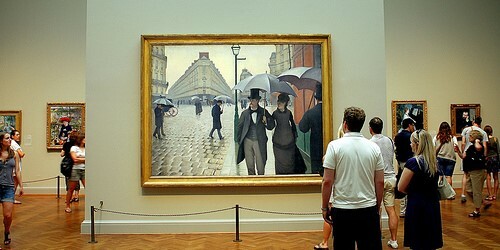 Choose an exhibition that is new to both of you and you can enjoy discovering something together. If you each happen to know about the artist, respect the other’s opinion without feeling the need to correct them, and avoid entering more than a couple of insightful comments into the conversation. The main reason why a cultural date is such a great choice is that it’s certain to create conversation. However, the environment doesn’t always lend itself to for a full-on discourse. That’s why ending the date by paying a visit to the on-site cafe is a nice touch. That way, you can enjoy the art, which is a great conversation starting point, and then build upon it in the cafe without worrying that you’re annoying those around you. « Why Kuching Is An Upcoming Travel Destination?